Scroll down and click on agenda below for copies of specific presentations. The Northeast Coastal Indicators Workshop was held on January 6-9 at the New England Center located on the campus of the University of New Hampshire, Durham, NH. 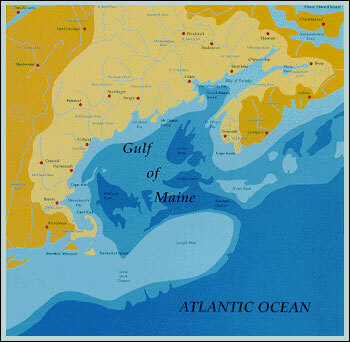 The goal of the workshop was to develop indicators that apply to the northeast coastal region of the United States (from New York to Maine) and Canada (Gulf of Maine). Click on agenda for copies of specific presentations. Vision for the region – A sustainable Northeast Atlantic ecosystem that ensures environmental integrity and that supports and is supported by economically viable, healthy human communities. Mission for regional indicators – To track the status and trends in ecosystem integrity throughout the Northeast Atlantic region through collaborative partnerships. To provide information for policy, management and advocacy decisions at regional and local scales. Indicators Workshop Goal – Consensus on a list of key indicators for which regional data will be compiled and tracked to indicate changing trends in ecosystem integrity through the Northeast Atlantic region. Workshop participants were divided into six topic areas: fisheries, contaminants, eutrophication, aquatic habitat, coastal development, and climate change. Breakout sessions were run concurrently and each group discussed conceptual models, topic issues, and questions and indicators developed during pre-workshop activities. Click topic area above for Participants of each Breakout Session. Congressman Tom Allen of Maine is a co-chair of the bipartisan House Oceans Caucus. He also serves on the subcommittees on Energy & Air Quality and Environment & Hazardous Materials. On behalf of our sponsors and the Workshop Steering Committee we look forward to a very productive exchange of information at the workshop!